A University of Wyoming researcher led a seven-year study to evaluate the long-term impact of translocation actions on bighorn sheep. From 2005-2012, the research group characterized statewide genetic structure and diversity by using microsatellite and mitochondrial DNA data in 16 indigenous and translocated bighorn sheep populations in Arizona. “Our study showed that it is possible to re-establish bighorn sheep populations without a reduction of gene diversity over a short period and without erosion of ancestral lineage,” says Holly Ernest, a UW professor of wildlife genomics and disease ecology, and the Wyoming Excellence Chair in Disease Ecology in the Department of Veterinary Sciences and the Program in Ecology. 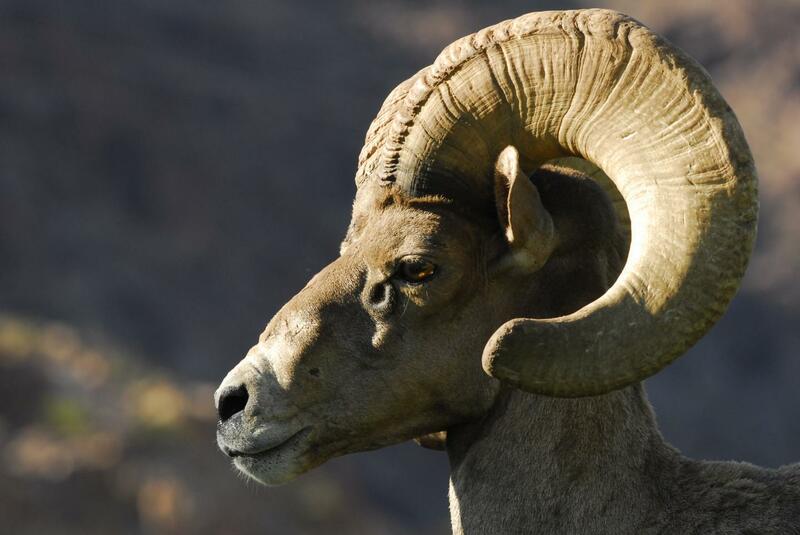 Ernest was the senior and corresponding author of a paper, titled “Genetic Outcomes of Translocation of Bighorn Sheep in Arizona,” that was published today (March 6) in the Journal of Wildlife Management. The journal publishes manuscripts containing information from original research that contributes to basic wildlife science. Suitable topics include investigations into the biology and ecology of wildlife and their habitats that have direct or indirect implications for wildlife management and conservation. Daphne Gille, a postdoctoral researcher at the University of California-Davis, was the paper’s lead author. Ernest was Gille’s Ph.D. mentor on this project while Ernest was a professor at UC-Davis until 2014 and, together, they continued the work after Ernest moved to UW. Additionally, researchers from the Oregon State University, California Department of Fish and Wildlife, Arizona Game and Fish Department, Nevada Department of Wildlife, the National Park Service and the Center for Large Landscape Conservation contributed to the research and the paper. Translocation is a tool used in wildlife management that involves the intentional, human-mediated movement of individual animals, populations or species from one area with release in another. Translocation of bighorn sheep in Arizona began in 1958, initially to augment numbers and maintain genetic integrity among populations of the two desert bighorn sheep lineages: Nelson and Mexican. Later, translocation management included augmentation of Rocky Mountain bighorn sheep that emigrated from New Mexico. Translocations have been used to achieve a number of management and conservation goals, including to increase population abundance of threatened species; to restore species to their historical range; to preserve biodiversity; to mitigate the effects of climate change; and to enhance genetic diversity and prevent inbreeding depression. Populations that were recipients of translocated animals showed substantial genetic diversity, according to the paper. This was contrary to previous studies that described “genetic bottlenecks,” or low genetic diversity, as a result of translocation in certain populations, Ernest says. “In Arizona, we found there was quite a bit of diversity in these translocated populations, and that was a good thing,” Ernest says. She adds that the Arizona Game and Fish Department and other wildlife management agencies use a method called “population supplementation” in which bighorn sheep are moved to an existing herd in another location. In northern Arizona, the presence of two indigenous main groups of Nelson bighorn sheep were confirmed in the Black Mountains and Grand Canyon, and indicated that gene flow among the Grand Canyon populations has likely played a role in maintaining genetic diversity. In southern and west-central Arizona, researchers detected genetic structure consistent with two metapopulations of Mexican desert bighorn sheep. Analyses of this study show significant genetic differences within each desert bighorn sheep lineage and, thus, suggest an important difference from current management practices that consider each lineage to be a single genetic unit. According to the study, several lines of genetic evidence presented suggest that the Bill Williams River area in Arizona is the contact zone for the two desert lineages of bighorn sheep. However, the degree to which translocation has enhanced introgression — genetic mixture — is unknown. Despite relative isolation from other herds, the translocated Rocky Mountain bighorn sheep population in eastern Arizona had high levels of genetic diversity and no evidence of inbreeding. This is conceivable due to multiple translocation events from sources in Colorado and New Mexico. While translocation management has successfully contributed to the re-establishment of bighorn sheep populations in Arizona without diminishing genetic diversity, the paper stresses that future translocation should proceed with caution to preserve the genetic integrity and potential location adaptation within the Nelson and Mexican desert metapopulations in the study.